Problem in conceiving second time- this problem is called "SECONDARY INFERTILITY". This lady 33-year-old, came from Singur, West Bengal. They have a baby boy born 8 years ago and he is doing well. That time, the lady conceived naturally without any treatment. They tried for pregnancy for last 4 years but in vain. As she had irregular periods, she could not understand whether she got pregnant or not. Today she came for consultation and while doing TVS we discovered there is pregnancy inside the uterus. 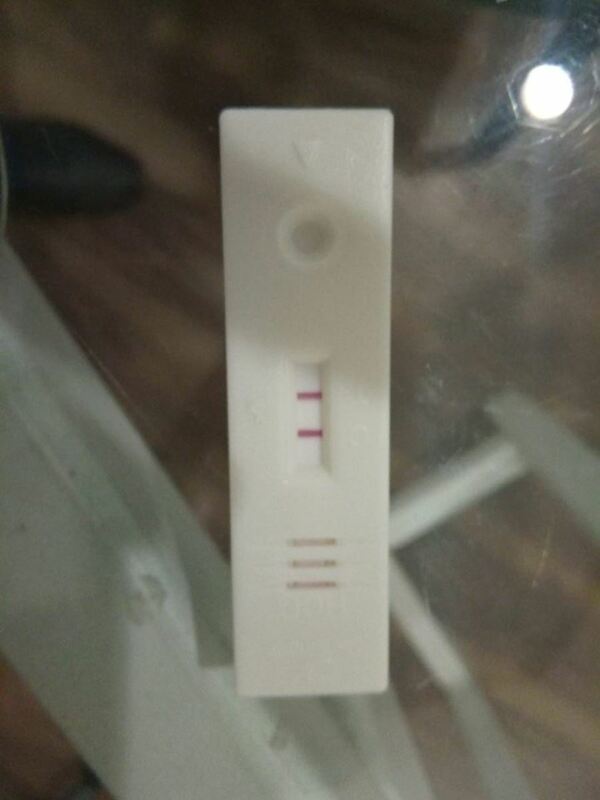 The urine pregnancy test is also POSITIVE.